Hannah, a mother whose name makes it into the Bible, poured out her soul-breaking pleadings to God in such a way that she looked not just crazy, but drunk. Eli, the priest, notices her. This was a day and age of pretense and sophistication — not spontaneous, unveiled expression. The behavior of a woman in public was especially guarded. But not for this woman. The Bible says Hannah was praying so hard, her mouth was moving, but no sound came out. Distraught emotion distorts her expression.Eli, the man of God, concludes: This woman has had too much wine. “How long are you going to stay drunk?” he wrongfully challenges in 1 Samuel 1:14a (NIV). Hannah claims she’s only drunk with the desire to be a mother.And the man of God sees. As clearly as he sees the wet tears on her face, he sees the heart behind the guttural pleadings erupting from her soul.“Eli answered, ‘Go in peace, and may the God of Israel grant you what you have asked of him,’” (1 Samuel 1:17, NIV). And the peace comes. “She said, ‘May your servant find favor in your eyes.’ Then she went her way and ate something, and her face was no longer downcast,” (1 Samuel 1:18, NIV). As I read the account of Hannah earlier this year, I felt a prayer of my own leap out from within me. I wrote it in the margin of my Bible: “Lord, make me drunk with prayer!”I prayed what was really in my heart — the good, the bad, the ugly. After all, God already knew it was in there. And you know what? It works. I feel peace after I pray like that. My problems aren’t always solved, but my heart is quieted. 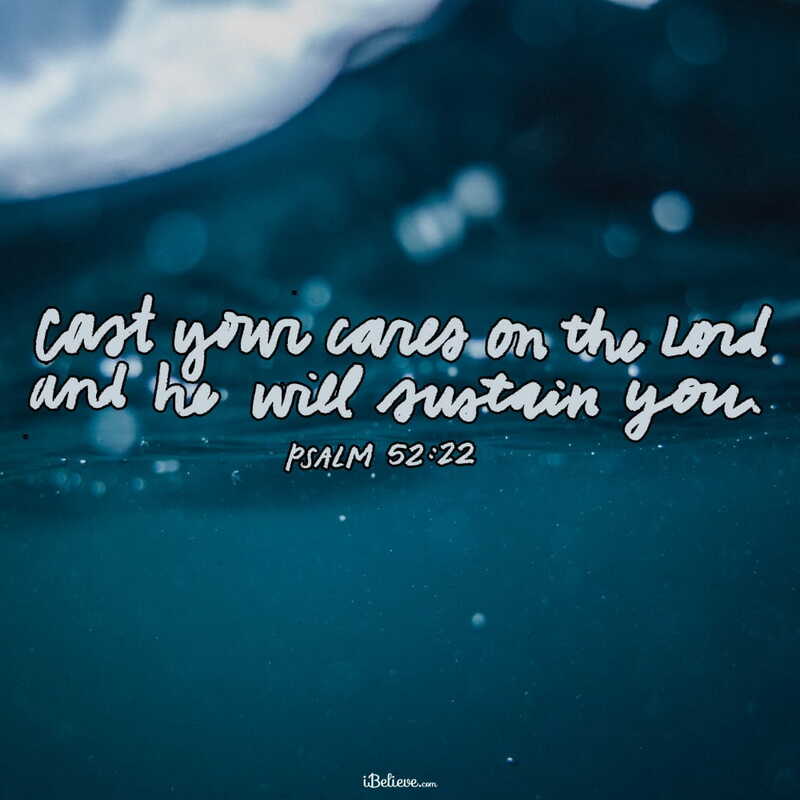 Maybe when the Bible says to “cast your cares” on God in Psalm 55:22, this is what it’s talking about. Some people might misread and misunderstand you when you pray as fervently as Hannah did. But isn’t that the point of prayer? Isn’t prayer the tool of an audaciously optimistic woman? One whose faith rises above what her eyes tell her to be true? If prayer makes us anything, it should be radical. Lord, I haven’t been bringing myself to You honestly. You know what’s inside of me and where the bitterness and anxiety rest. Please help me to pray like I mean it today, free of all pretense. I’ll trust You to sort it out. In Jesus’ Name, Amen. Editor’s Note: Content taken from the Encouragement for Today devotional, Praying Like a Drunk Woman, written by Dannah Gresh. You can read that piece in full here. All rights reserved.